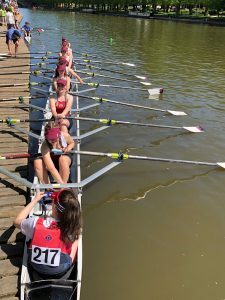 Continuing the 2018 regatta season, the action moved to Evesham where the traditional Bank Holiday weekend two day event took place over 1000m of the Avon on Saturday and 500m on Sunday. 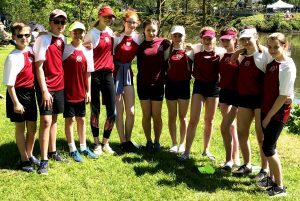 The sun shone on the event for both days however heavy rainfall earlier in the week made conditions tricky with a strong stream on the river against the racing crews. The Stratford Masters coxed four crew of Richard Field, Richard Anderson, Graham Cann and Dave Edwards opened proceedings with a win over the host club to put them through to the semi-final. In what turned out to be one of the most memorable events of the day, the Masters lined up against a schoolboy crew some forty years their junior from Royal Grammar School Worcester. Battling hard the Stratford crew lost out by just one length with their years of experience eclipsed by the exuberance of youth! 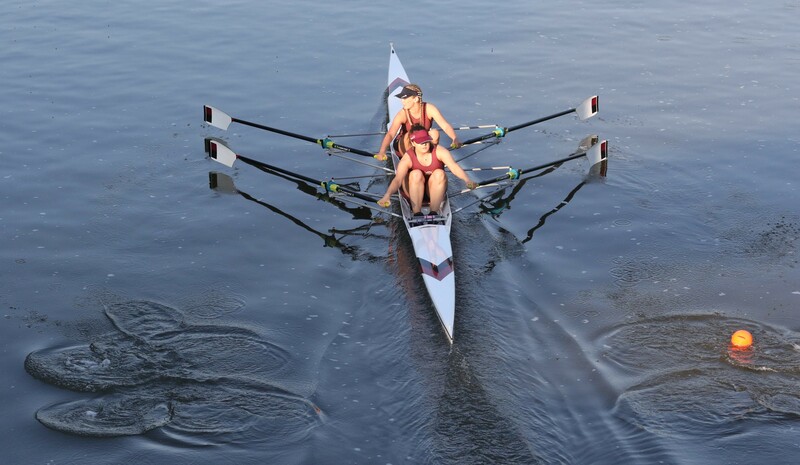 Next up was the Junior 15 double sculls events where the boys’ crew of Fred Tyler and Max Griffiths met their match early on losing out to the eventual winners City of Oxford by just half a length. 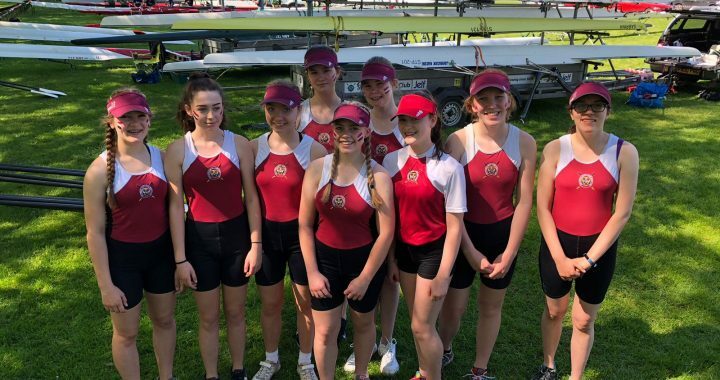 The girls’ crew of Mya Kenny and Alice Baines then stepped up to win their first heat easily but then went out in the semi-final to a strong Stourport crew, again by half a length. The women’s Junior 14 coxed quadruple sculls event saw Sienna Rawlings, Martha Usselmann, Abbey Meggeson, Elisabeth Edwards and Mary Walton on the water. Unfortunately, the luck of the draw was against them as they went out in the first round to the eventual winners Stourport. 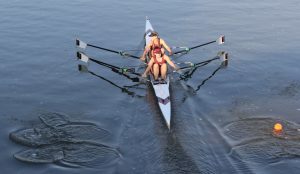 The men’s Junior 14 double sculls action continued the flow with the crew of Will Clarke and Conar Aitchison spoiling the day of two Pangbourne College boats on their way to the final. A great battle in the final saw them eventually succumb to City of Oxford. 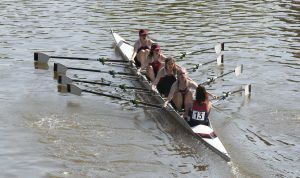 Then came the women’s coxed quadruple scull of Jasmine Mountney, Nixie Brunt, Mili Wilcock, Maiya James and Naomi Sergeant. The drama unfolded with a straightforward dispatch of Abingdon in the first round and then Stourport in the semi-final. 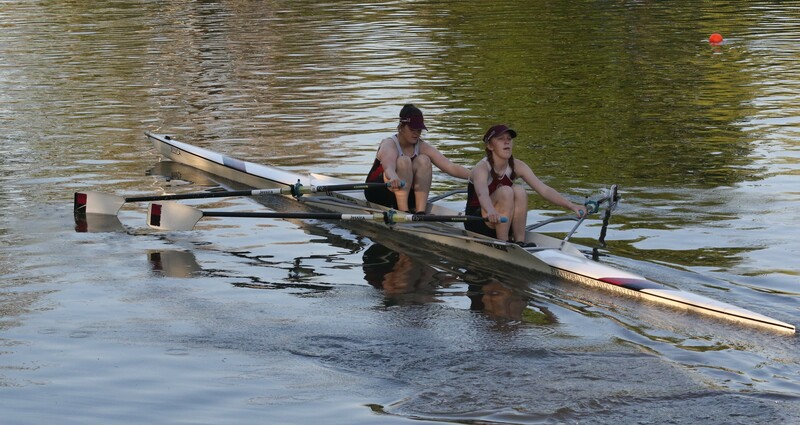 Onwards to the final and the previous races took their toll and the crew eventually lost out to Evesham. 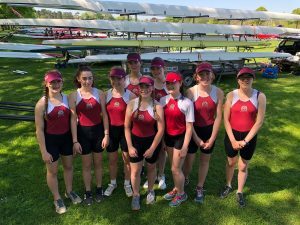 The women’s Junior 18 double scull event proved another crowd pleaser with the crew of Issy Marsden and Issy Clarke making short work of Royal Grammar School Worcester in the semi-final. The fairy tale ending eluded them in the final when the Evesham crew pipped them to the post by just one boat length. 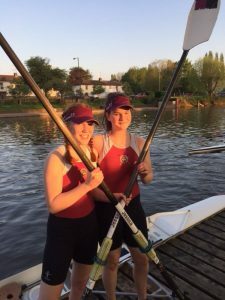 Closing the days racing was the women’s junior 14 double scull event with Sophie Elstone and Harriet Hodgson flying the flag for Stratford. 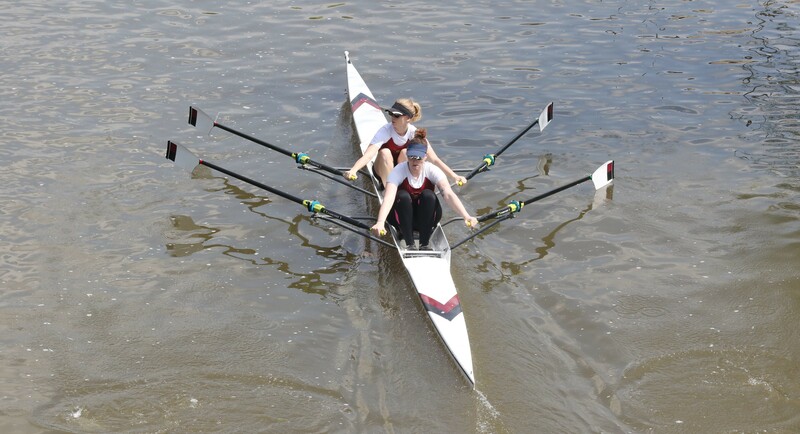 The pair put on a dominant show winning their heats easily and then the final giving Stratford a win to round the day off with another display of superb sculling! Stratford’s WJ14.1x (Amelie Sartain) missed out on a final place by one length and Stratford’s WJ14.8x+ had a great time with some good racing and lost out by only one and a half lengths behind City of Oxford J15 boys boat and had two wins out of three races. 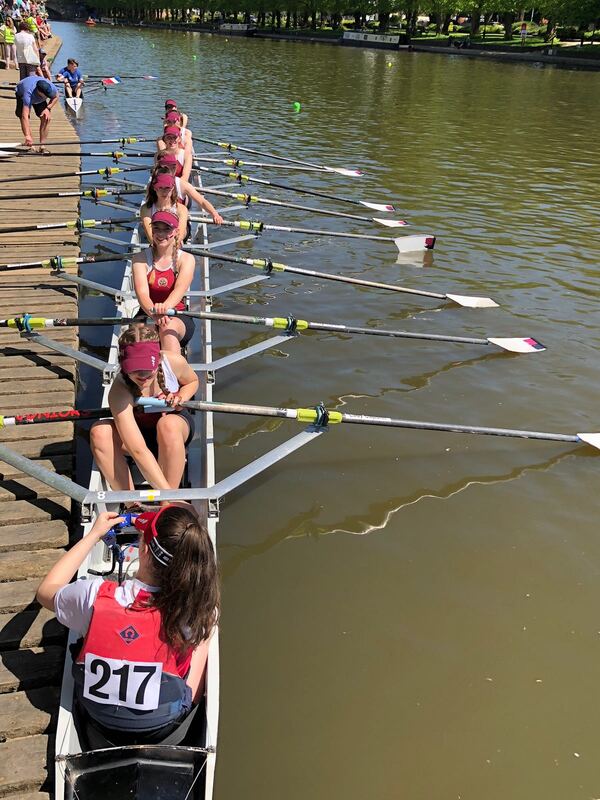 The J13 squad had a great day on Sunday at Evesham Regatta in their first ever river race. 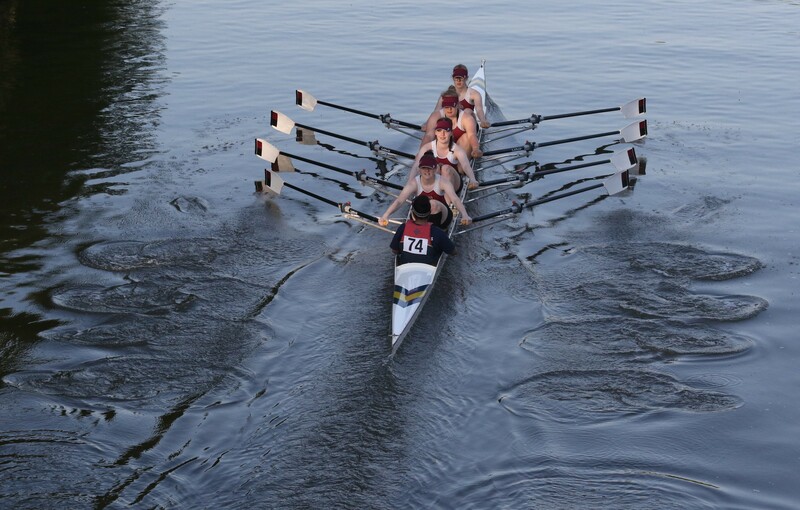 They competed in various crews in all of the boat t ypes available to them – Octuple, Quads and Doubles. 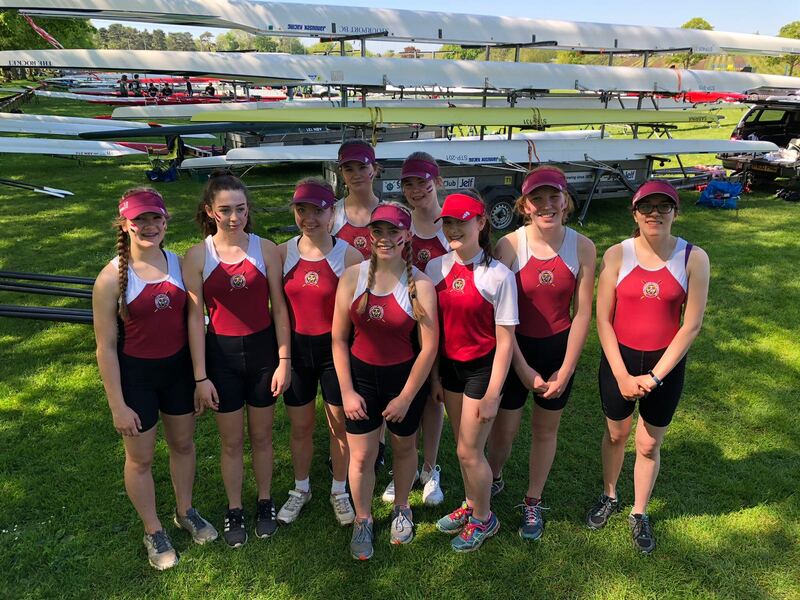 In the Octuple, the J13 squad were beaten by the Stratford’s WJ14 squad by just two lengths and Evesham WJ14’s squads by only one and a half lengths which were fantastic results given that the J13 squad are a year younger. 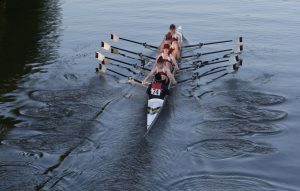 Meanwhile at Wallingford Regatta, Stratford’s Senior Men’s 4- had a good row and finished fourteenth quickest out of about thirty six crews but missed out on the semi-finals. 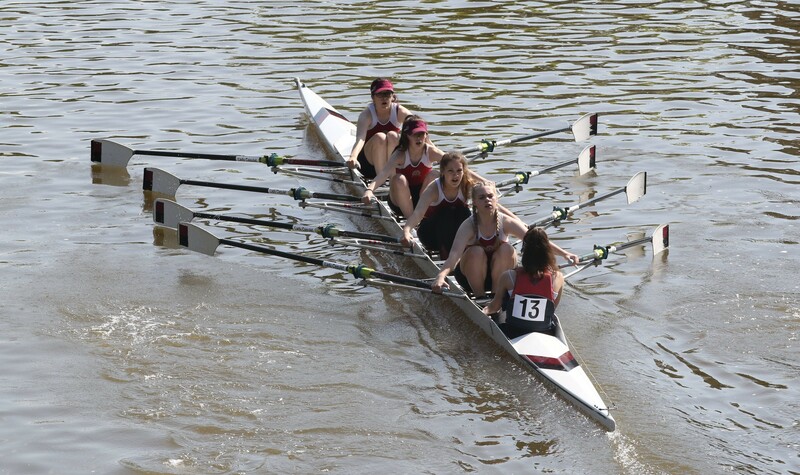 Stratford’s 4+ also competed at Wallingford. Sadly the regatta at Marlow scheduled for Bank Holiday Monday had to be cancelled due to flooded car parks.